15:50 | ¿Is not your local time? Change it!15:50 | ¿Not your time? 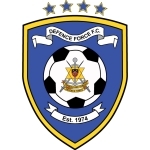 Teams › Trinidad and Tobago › Defence Force F.C.